The second decade of the new millennium opens with a bass-heavy deep impact when three of the most acclaimed artists in modern electronic music play Brisbane’s historic theatre venue The Tivoli on Sunday January 2. 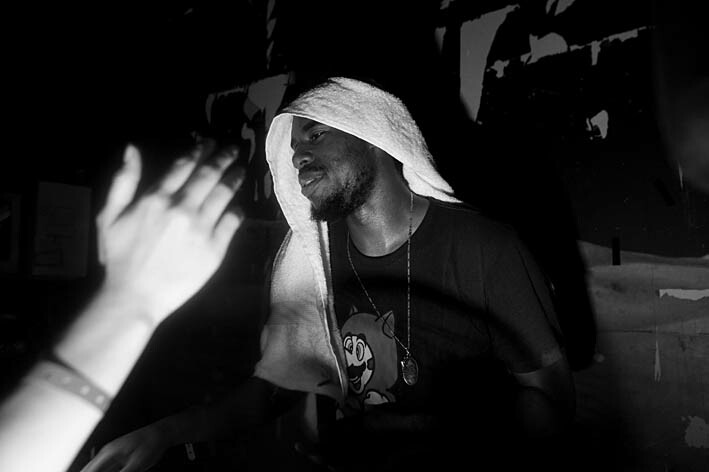 Flying Lotus returns to Brisbane for the first time in two years, and for his first show here since the release of his explosively epic album Cosmogramma on Warp Records. Bringing a frenetic live audiovisual performance, Steve Ellison will show why he has ascended to the upper echelons of the global electronica movement. With Cosmogramma receiving universal praise for its psychedelic jazz beat tapestries featuring Lotus’ admirer Thom Yorke and his cousin Ravi Coltrane among others), this artist embodies the best of experimental electronica packed into a tight, danceable package. Ellison brings the special visual element of his show to Australia for the first time. Lotus’ right hand man in the LA-based Brainfeeder clique and one of the minds behind legendary LA weekly club night Low End Theory, William Bensussen, aka The Gaslamp Killer receives praise as one of the best DJs in the world, with his relentless recombinations of psychedelic rock, dusty breaks and heavy dubstep. A producer, as well as a DJ, he has released two EPs on Brainfeeder and produced haunting vocalist Gonjasufi’s debut LP A Sufi and A Killer (Warp Records). Having already laid waste to Brisbane’s Step Inn in March this year, The Gaslamp Killer returns to Brisbane to again prove his lofty credentials. Young Glaswegian Ross Birchard, aka Hudson Mohawke is a former child turntable prodigy who turned his talents to blindingly fluorescent synth-lines combined with organic drum programming and a million ideas a minute. A core member of the Glasgow-to-global collective LuckyMe, he is one of the new generation of artists signed to pioneering UK label Warp. With numerous EPs, beats and remixes already under his belt, his debut LP Butter was a technicolour sonic flash bomb that The Guardian compared to “eavesdropping on the future”. In support, Dank Morass DJs will serve up a heady brew of diverse music, including the debut of original beats from Walrii and live visual manipulation from Archi Lancaster and ATLASt.